As you know Paytm is a very popular online payment system and digital wallet company in India. Due to its wide range of popularity Paytm launches various types of offers in it's platform. But among these offers Paytm UPI offers are very famous & easy to get cashback. So, here in this post i will explain you how you can earn up to Rs.10,000 from these UPI offers. What is Paytm UPI Offer? As you know UPI means Unified Payments Interface. Here in Paytm app you need to link your bank account. Then you will get an UPI address by which you can send and receive money through this UPI address. All the UPI transactions will conduct by your bank account. So, Paytm UPI offers means when you will pay someone through Paytm UPI payment method then you will receive cashback for that transactions. 10 Pe 30 UPI Offer etc. How To Activate These Offers? Then choose any offer and click on "Activate Offer"
If you consider about the 10 Pe 10 UPI Offer then you will require 10 numbers of transactions and each transaction value is Rs.25. Here, you will get Rs.10 cashback after doing 10 transactions. If you consider about the 15 Pe 25 UPI Offer then you will require 15 numbers of transactions and each transaction value is Rs.2500. Here you will get Rs.25 cashback after doing 15 transactions. So, like these all the UPI offers work. You only need to read the terms and conditions carefully before activate the offer. Paytm also runs invite and earn referral system for its users. If you invite someone to do their 1st UPI money trasfer on Paytm then you will get Rs.50 per each successful referral. According to Paytm you can earn up to Rs.10,000 from this invite & earn offer. After share your link if someone click your link and do their 1st UPI money transfer (minimum of Rs.10) then you will get Rs.50 per one successful referral. Here the person who has received the invite will also get Rs.20 after complete 2 UPI money transfer of minimum Rs.10. So, i hope you understand these offers. 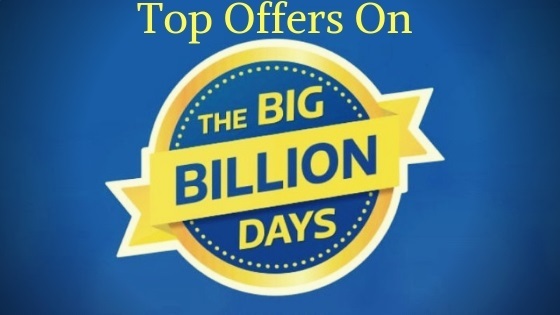 Top Offers On Flipkart Big Billion Days !! As you know the most awaited flipkart big billion days are coming and in this sale you will get many products in very low price. The sell will start from 10th October and will continue till 14th October. So, here we are discussing about some best smartphones, fashion, gadgets & accessories offers in this sell. In this big billion days flipkart launching some best smartphone deals. Here, in this sale you will get the Redmi Note 5 Pro with a Rs.2000 off in Rs.12,999 while the original price is Rs.14,999. The Realme 2 will be available with 10% HDFC discount in Rs.8,091 from the original price Rs.8,990. The Realme 2 Pro with the Snapdragon 660 Octa Core Processor will be available in Rs.13,990 and you can get 10% instant discount with HDFC Bank Debit/Credit Cards & EMI transactions. The Realme C1 4230 mAh battery and Octa Core processor will be available in Rs.6,999. Here in this sell you will also get the best exchange value for your old phone. Best phones to buy with exchange are (1) VIVO V9 Youth (4GB) will be available in Rs.13,990 (2) OPPO F9 (4GB|64GB) will be available in Rs.19,990 (3) OPPO F9 PRO (6GB) will be available in Rs.23,990. The Nokia 5.1 Plus with Helio P60 will be available at Rs.10,499 while the original price of this phone is Rs.13,199 and the Nokia 6.1 Plus with Snapdragon 636 will be available at Rs.14,999 while the original price is Rs.17,600. The MI MIX 2 (6GB|128GB) will be available at Rs.22,999 while the original price is Rs.37,999. Another best deal is Asus Zenfone 5Z will be available at Rs.24,999 while the original price is Rs.29,999. The big smartphone deal in this offer is Samsung Galaxy S8 which will be available at just Rs. 29,990 while the original price of this phone is Rs.45,990. So, if you love Samsung Galaxy S8 then it will be the correct time to buy this phone. In other the followings are some phones that will available at very low price as compare to the original price. After the Smartphones deals you can get Up to 90% off on Fashion products. There will be 1000+ brands and 1 Crore+ Products available during these days. You can also get Up to 80% off on TVs and Appliances. Here for TVs and Appliances you can get No Cost EMI. In this sale you can also get Up to 80% off on Gadgets and Accessories. If you consider about the Furniture then you can get 50-90% off on this. If you consider about the Beauty, Toys, Sports then you can get 50-90% off on these products. You can also get Up to 70% off on Flipkart Brands. There will be 130+ categories will be available. In this sale you can get discounts from various sources. You can get 10% cashback on Payments via PhonePe. You can also get Up to 90% Buyback Value which is First Time Ever on Flipkart. There will be no cost EMI on Bajaj Finserv EMI Cards and 0% No Cost EMI on leading bank Credit cards. You can also get 10% instant discounts with HDFC Bank Debit or Credit Cards and EMI Transactions. 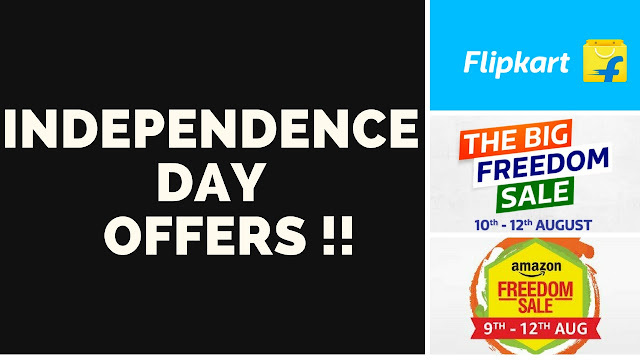 Independence Day Offers On Amazon and Flipkart !! For the Independence Day of India there are many offers announced by Amazon and Flipkart. The Amazon sale will be start from 9th August and will continue till 12th August which is named as Amazon Freedom Sale. Likely the Flipkart sale will be start from 10th August and will continue till 12th August which is named as The Big Freedom Sale. In this sale Amazon confirmed that there will be 2500+ brands, 20,000+ deals and 200+ categories available during this freedom sale. In this sale you will get up to 40% off on mobiles and accessories. There will be 4 new launches under the mobiles category. You can get 50-80% off on Amazon fashion where you will get 500+ brands and 20 lakh+ styles. If you consider about daily essentials then you will get up to 50% off on daily essentials. There will be up to 70% off on home and kitchen products and you can get up to 50% off on electronics products. There will be 350+ electronics brands available during this sale. You can also get a big save on Amazon Devices. There will be also 60% off on books, entertainment and more. You can get up to 40% off on TVs and appliances. There will be some exclusive deals and offers available for Amazon Prime members only. There is another amazing offer named as Amazon App Jackpot Offer. In this offer you will get a QR code for Amazon app and if you scan that QR code and download the Amazon app then you will be get a chance to win the Jackpot in which prizes worth over Rs.4 Lakhs. You can also get extra discounts on top brands using the amazon.in coupons. There is another discount offer available in which if you using the SBI Debit Card for purchasing products then you will get 10% instant cashback. During this sale you will get great offers on top mobile brands like Samsung, Apple, Xiaomi and more. In this sale you will get up to 70% off on TVs and Home Appliances. There is also offers available for laptops and cameras. You can get up to 80% off on laptops, audio, cameras and more from top brands like Apple, Dell, Google and more. There will be 40-80% off on Fashion like clothing, footwear and many fashion accessories. You can also get 40-80% off on Home Furnishings, Decor and kitchen essentials. There is also many beauty products, toys, books which price will be start from only Rs.99. In every 8 hours there will be Block Buster Deals available during this sale. There will also price of products crash in every 8 hours. In the midnight of 10th August from 12AM-2AM there will be revolutionary deals available. This two hours are named as Rush Hours. In this time you will get a vast discounts for many products. There is also a Freedom Countdown offer available during this sale. From 10th August to 12th August on every day 7:47PM to 8:18PM (31 minutes) there will be price drops for many products. There is a cashback offer available in which you can get 10% cashback by using the Citibank Credit Cards during this sale. After completed 4 successful years in Indian smartphone market, Xiaomi is celebrating it's 4th Mi Anniversary in India by bringing some amazing offers. 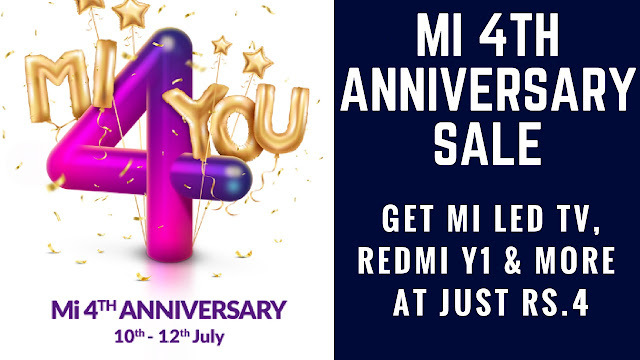 The 4th MI Anniversary Sale will starts on 10th July and continue till 12th July. On 9th July, after provided the Priority access to reward Mi members, the Anniversary sale will start for customers on 10th July. This is the most awaited offer in this Sale. There are some products which will be sale at only Rs.4. Such products are Redmi Y1 which price is Rs.8,999 will sale at only Rs.4 while Mi LED Smart TV 4 (55 inch) which price is Rs.44,999 will sale at only Rs.4. Other products which are under the Rs.4 flash sale are Mi Body Composition Scale, Redmi Note 5 Pro, Redmi Y2 & Mi Band 2. This Rs.4 flash sale will held on 10th to 12th July at 4 PM. In this offer you will get a combo pack at very lower price. Such as Mi Body Composition Scale + Mi Band 2 at Rs.1,999, Redmi Note 5 + Mi VR Play 2 at Rs.9,999 & many other products like this. This offer will held on 10th to 12th July at 6 PM. Mi Mix 2 & Mi Max 2. You can also grab Coupons from Rs.50 to Rs.500 on everyday 10 PM from 10th to 12th July. * There will also Special Giveaways for Platinum and Diamond Class Members. You can also exchange your old phone with a new smartphone at a lower price in this Sale and there are also Mi gift cards will available in this Sale. The Mi Protection will starting from Rs.469 & the Slick cases and Protectors will be starting at Rs.29. You can also get cashback and discounts by using SBI Cards & by payment through Paytm or Mobikwik. On a minimum transaction of Rs.7,500 using SBI Cards you will get flat Rs.500 instant discount while on Paytm you will get Rs.500 cashback on a minimum transaction of Rs.8,999 with flat Rs.1000 cashback on flights & up to Rs.200 cashback on Movies. On Mobikwik you will get flat 25% of Supercash up to Max Supercash of Rs.3000. Amazon Best July Offers !!!! Amazon's biggest offer on July starts from 16th July. The offer named as Prime Day. It is exclusively for the Prime members of Amazon. The offer will continue for 36 hours. 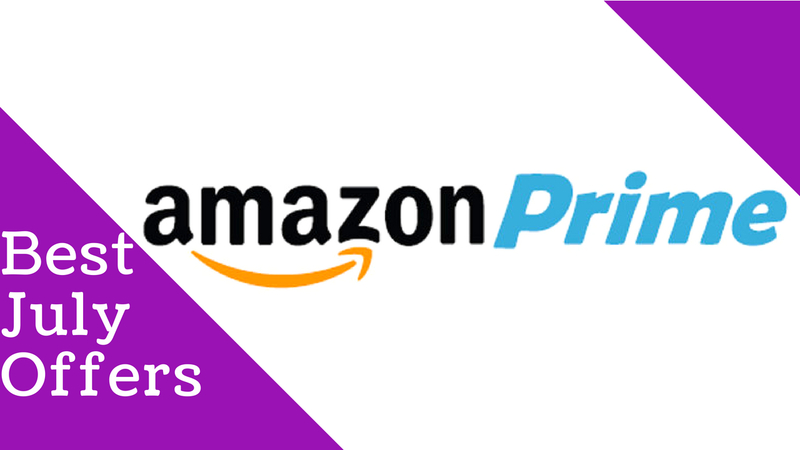 In this Prime Day offer there are 200+ new products will be launch. In this offer you will get a big save on Amazon echo, Up to 40% off on Mobiles & Accessories, Up to 50% off on Electronics & Appliances, Up to 70% off on Home & Outdoors, Up to 50% off on daily needs, 50% to 80% off on Amazon Fashion & Up to 70% off on Books, Entertainment. * You can also get 10% of Instant Discount by using the Credit, debit cards & EMI of HDFC Bank. * Amazon Pay will also provide a cashback offer during this Prime Day offer period. You will get 10% back when you load money in Amazon Pay. (1) Flat Rs.30 cashback on minimum Rs.149 recharge for first time Jio recharge on Amazon. (2) Flat Rs.75 cashback on minimum Rs.398 recharge for first time Jio recharge on Amazon. (3) Flat Rs.50 cashback on minimum Rs.199 recharge for first time Idea recharge on Amazon. (4) Flat Rs.75 cashback on minimum Rs.398 recharge for first time Idea recharge on Amazon. (5) 25% cashback up to Rs.30 for both new & existing customers (applicable on all operators) with no minimum recharge value. (1) Get 25% cashback up to Rs.80 for first time DishTV recharge on Amazon (minimum recharge value is Rs.200). (2) Get 25% cashback up to Rs.80 for first time Videocon d2h recharge on Amazon (minimum recharge value is Rs.200). (3) 20% cashback up to Rs.20 for both new & existing customers (applicable on all service providers) with no minimum recharge value. * All these Mobile & DTH recharge offers are valid from 1st July to 31st July. Jio has launched another good offer for its user. As you know, now the FIFA World Cup is ongoing. So many Jio users from India also watching it. So looking at the popularity of FIFA, Jio is giving free 2GB daily data for 4 days. Recently some days before Jio has launched its most popular offer which was Jio Double Dhamaka offer. in that offer the users are getting 3GB daily data in just Rs.399 (But after cashback through PhonePe & My Jio App the price will become Rs.299). So after the "Jio double dhamaka offer" this is another good offer for all Jio users. 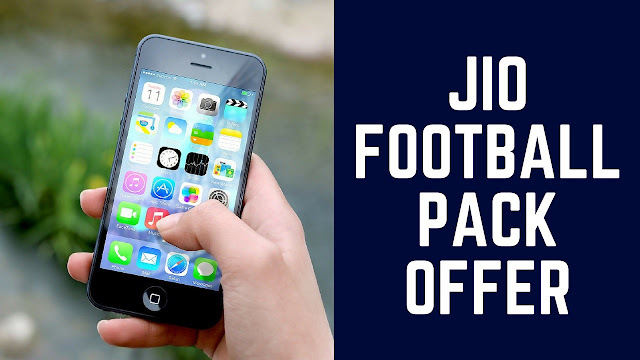 You can get a lot of data from the 1st offer (jio double dhamaka) and from the 2nd offer (jio football pack). So, to get this offer you need to complete some steps those are explain below. In this offer you will get daily 2GB data free fpr 4 days. So totally you will get 8GB data from this offer. So your existing 3GB data & this 2GB data will give you daily a total of 5GB data. You can get this offer on My Jio App. Open My Jio App, then go to the Menu section & click on My Plans and then click on FIFA FOOTBALL PACK & activate this. After complete these steps a notification message will come from Jio with saying that your offer is activated. Then you can enjoy the data pack. By this offer from Jio may be a challenge for the other Telecom Companies. Because some days before Jio has launched the Double Dhamaka Offer and now this offer. So within 15 days these two offers from Jio may be affect the other telecom companies offers. But user's should be happy because if there will be a competition between the telecom companies then more new offers will come and you can get more data pack. Jio Double Dhamaka Offer(3GB Daily in RS.149 & Rs.399) | Read This Before Redeem Voucher..!! So guys, Jio has launched a big offer for its users.It's named as Jio Double Dhamaka Offer.The benefit of this offer is before the recharge of RS.149 & Rs.399 we were getting a benefit of 1.5GB daily data for 28 & 84 days.But by this offer we will get a benefit of 3GB daily data with the same price & for same duration.Here you will get a 1.5GB daily additional data by this offer.After recharge you will get the additional data voucher in My Voucher section. You can also get a 20% of cashback (upto Rs.50) by recharging through Phone Pe via My Jio App. (1)Where any applicable additional data voucher is redeemed during a Recharge cycle,the benefits attached to such Additional data voucher shall be limited to that recharge cycle & any such benefits that remain unutilized at the end of that Recharge Cycle,will expire & be forfeited. (2)Such Additional Data Vouchers that are not redeemed within the 90 days from the date of credit of such voucher,shall expire & be forfeited. So don't redeem the additional voucher during your existing recharge plan.There is a 90 days validity of the additional voucher.So after complete your existing plans then redeem this voucher. First go to the My Jio App, then log in with your Jio number you want to recharge, then click on the recharge option and select the offer Rs.399. Then apply the my jio voucher of Rs.50 cashback and then choose the payment method Phone Pe. So after choosing Phone Pe as the payment method you will be eligible for the Rs.50 cashback from Phone Pe. But note that you are doing the first jio recharge on Phone Pe. Because the cashback is only applicable for the first jio recharge through Phone Pe. So if you are doing the recharge from an old Phone Pe account then you will not get the cashback. So in this way you will get Rs.100 cashback from the Jio Double Dhamaka offer.